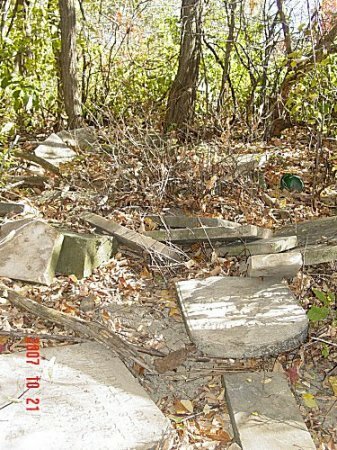 Other Comments: This cemetery is in poor condition. Many stones are down, broken and missing. About a third of the graves have no markers at all. 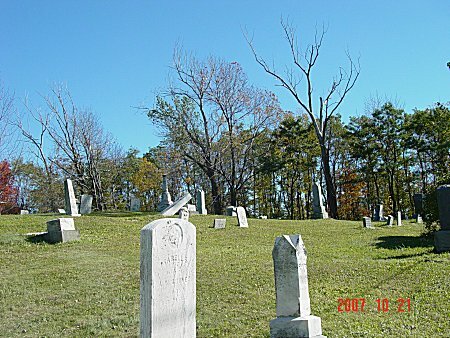 If it wasn't for one person, this cemetery probably wouldn't even be mowed. Allen Lilborn 4/5/1793 3/20/1871 b.Richmond, NH/d. Richmond, Pa. Beard Walter S. 1900 1918 s/o J. N. & L.
Beard Ruth Ann 8/10/1822 4/29/1889 On marker w/Wm. R.
Sherman George E. 1843 1921 Co. F 4th Reg. NY Art. Patterson L. C. 8/18/1833 8/18/1891 Co. A 104th NY Vol. Patterson Lucious C. 7/18/1891 54y11m Co A NY 104 Vol. Palmer Jennie L. 5/30/1878 27y5m22d w/o C.K. Cass Marian 1/9/1893 11/8/1896 d/o H.L. & E.A. Cass Gertrude May 5/10/1880 6/26/1882 d/o H.L. & E.A. Cass Elizabeth 1846 1936 On marker w/Marcus W.
Grover Emeline 8/6/1827 2/14/1895 On marker w/S.D. Kizer C. M. Co L 189 NY Inf. Kizer Adelia 1864 1908 w/o L. S.
Pierce Fanna 1/8/1878 w/o John V.